Pictured here are (l-r) Jona Cochern, Robert Comer of Micron Technology, Kelsey Molyneux of Westerra Real Estate Group, Rachel Sanders of Tates Tents & Events, and Kyle Rosenmeyer of the city of Boise. Photo courtesy of BYP. 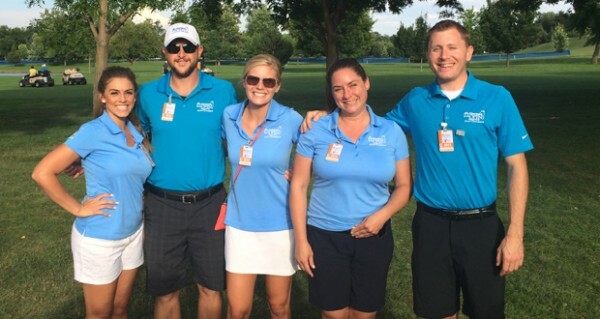 Members of the Boise Young Professionals volunteered for three evenings during the Albertsons Boise Open at Hillcrest Country Club on July 9, 10 and 11. The BYP has more 1,000 members and hosts monthly volunteer events. Next: A Q & A with Steve Freeman: How sustainable is your furniture?